The most successful assisted and independent living communities understand that relationships are built around the table. Meal time is an important event and a time of day that many seniors look forward to most, why a quality dining experience is imperative. But a good dining experience means more than just good food. It involves proper design and functionality to create a social space for conversing with other residents as well as entertaining visitors, friends, and family. Here are our top senior living dining room design tips to create a quality experience in your assisted or independent living community. Color is an essential factor in senior living design. Before selecting a color and pattern for the dining room, consider the theme of the room: Is it a traditional dining room? Is it more of a contemporary food court or restaurant? We recommend incorporating small patterns that can easily hide dirt and stains since they are often more forgiving than solid prints. When selecting a colored fabric for furniture, if you choose a 100% stain proof material, you can safely choose light or dark fabrics. However, we suggest a medium-colored, print fabric which is best for hiding stains. Socializing is a critical component of a resident’s well-being. The dining room is a central place for residents to gather and connect with one another and visitors throughout the day. Therefore, it should be designed to encourage these types of regular interactions and conversations. This can be accomplished by incorporating a variety of different sized tables to accommodate different sized groups. Alternatively, you can also create an exhibition-style cooking environment for residents where they can watch and interact while the chefs are creating their meals. While “senior living dining” usually creates visions of buffet lines and mysterious entrees, many of the top communities are elevating the dining experience by offering multiple options that exceed their residents’ expectations. Some are introducing a food court styled dining room with multiple menu options including heart-healthy, gluten-free, and sugar-free choices sure to appease most residents and visitors. Others are developing a true restaurant experience where residents are seated, provided with menus, and served by staff members. Some are even creating a five-star restaurant, fine dining experience which is great way for residents to celebrate special occasions — especially if they aren’t as mobile. The dining room is a place for socialization and enjoyment at any age, especially for assisted and independent living residents. 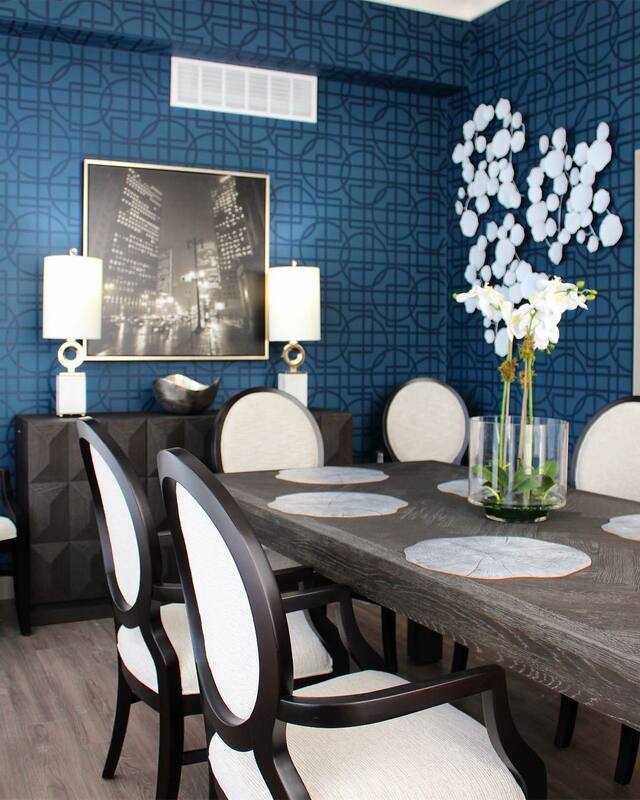 We strongly suggest taking these tips into consideration when designing or updating the dining room in your community. If you have any questions, our team is happy to help. Feel free to contact us and visit our portfolio here.